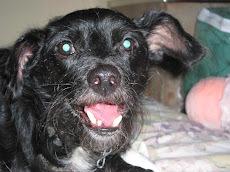 My dog says that this Friday is National Feral Cat Day. This special day is meant to bring attention to the issues facing feral cats—and the ramifications of not spaying or neutering your feline friends. 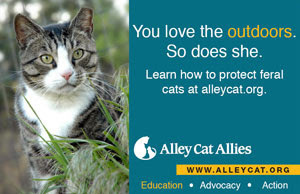 To plan an event for National Feral Cat Day or to get some ideas on how you can help educate others about the plight of feral cats, click HERE to visit Alley Cat Allies. Best Friends Animal Society also has some other ideas about how to help ferals in your community. Click HERE for more ways you can help.